These are busy times for badminton player Sara Boyle as she prepares for her second tournament in the same week. Last weekend, Boyle competed in the Irish open at the National Indoor Arena in Abbotstown, Dublin in both singles action and with her doubles partner Rachael Darragh. This weekend, the 21-year-old is headed to the Emirates Arena in Glasgow, Scotland, again to compete in both singles and doubles action. Boyle faces a familiar face in her first match in Glasgow in the singles competition. “In the Scottish I’m in qualifying, in the singles I play an Estonian girl called Kati-Kreet Marran who I know quite well. Hopefully I win that. Meanwhile on the doubles’ side of things, it’s less favourable. These tournaments are key to any future plans Boyle has come next June when the European Games are on in Minsk in Belarus. 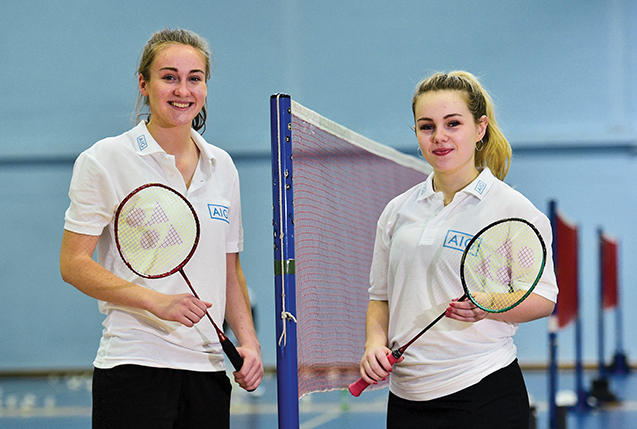 The Business Studies student from Dublin says she prefers the singles side of badminton. However, she does still enjoy playing with Darragh. Boyle has consistently been qualifying for the main draw in tournaments throughout the last couple of years and putting in solid displays. She is not without weakness though and knows where she wants to improve. “At the moment I struggle a lot with injuries. I was in Bulgaria, I went over my ankle. Over the summer I had a block of training but before that I had four or five months out with a shoulder injury. For Boyle, her ambitions are very clear.